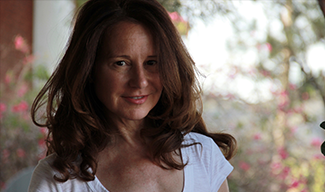 Santa Monica, CA, July 8, 2016 – Skydance Television today announced that award-winning producer-writer Marti Noxon, who has a multi-year overall development deal with the Company, has named Maria Grasso to the newly created position of President of Tiny Pyro, effective immediately. Grasso will report to Noxon and in her new role will oversee all development for Noxon’s production company, including Skydance’s Dietland, an adaptation of the novel by the same name written by Sarai Walker. Set against the backdrop of the beauty industry, this part character drama and part revenge fantasy will explore society’s obsession with weight loss and beauty in a bold, original and funny way. Tiny Pyro was founded in 2015 and in addition to its current production of CBS medical drama Code Black, has multiple projects in development. “As our priority development slate with Skydance Television rapidly expands, I am thrilled to have found in Maria a new creative partner to help shepherd Tiny Pyro’s efforts in bringing a diverse slate of high quality series to the screen,” commented Marti Noxon. “Maria is an extremely accomplished creative executive whose depth and breadth of experience will serve as a strong extension to Skydance Television’s already highly productive working relationship with Marti and the Tiny Pyro team,” added Marcy Ross, President of Skydance Television. “I have long admired Marti’s talent and taste in material. At the same time, I am so impressed with Skydance Television’s deep commitment to storytelling and the outstanding reputation it has earned among writers, so joining this team is an incredibly exciting next step for me and I cannot wait to get started,” said Grasso. Grasso has vast experience as a television executive running development and programming departments at a number of networks and studios, including Lifetime, The WB, Warner Bros and Universal. She has developed and overseen production of such hit series as Supernatural, Army Wives, One Tree Hill and Everwood. At Grasso’s own production company, One-Two Punch Productions, she oversaw projects at such premium outlets as HBO, AMC and Amazon, and also executive produced Finding Carter for MTV. Deb Spera, Grasso’s partner at One-Two Punch, will continue to run the production company under a first look deal at ITV Studios America.